* Improves Porosity and Elasticity. * EACH Ampoule 18ml / 5/8 FL. Oz. 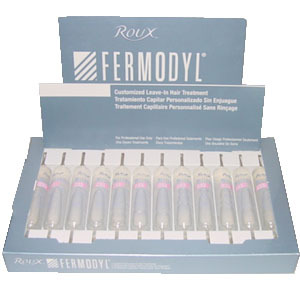 Tip: Before going into the sun, apply the Fermodyl Ampoule treatment that's right for you to towel-dried hair. Wrap hair in a towel and head out for some rays. Enjoy fun in the sun while you improve your hair's health.